So, the joke’s on me for thinking I would enjoy a happy contemporary book. This is a dnf review, so if you are looking for a full review you might consider looking here or here. This book has gotten so much love and so many glowing reviews so I hate to burst this bubble but I got an arc and now I feel obligated to write a review, dnf or not. I only got 32% of the way in, but from page 1 I knew this wouldn’t be the book for me. it’s a happy contemporary so really I should’ve known better. I prefer books like The Female of The Species or The Nowhere Girls, where the vibe is generally negative and the themes are heavier. Which is not to say, that there aren’t a few heavy plot points in this book (from what I read), because there are. This just isn’t my style. I’ve read a few that I’ve enjoyed, like Simon Vs The Homo Sapien’s Agenda & Queens of Geek, but I also don’t reach for them all that often on my shelves. I found this book to be unrealistic to my experiences in high school. Now, take my opinions with a grain of salt, because everyone had a different experience in HS and also consider that I go to school in Australia and am also straight. I don’t know about you and your experiences, but I spent pretty much every night in high school doing homework, reading or sleeping. There wasn’t much time for me to hang out at my friends’ houses and watch tv, then go home before 10/11ish, do homework and then get to school on time the next day and somehow still remain sane. It just wouldn’t have worked for me. So, will someone please explain how the friend group in this book manages to do it??? This is not a spoiler, but the mc is a writer and so, much like in Fangirl by Rainbow Rowell, there are a lot of excerpts from the mc’s wip (work in progress). This was a bit weird for me, I’ll be honest. I wasn’t a fan of it in Fangirl (haha, get it?) and I wasn’t big on it here. It mostly served to take me out of the story as I was trying to get my head around what the hell is happening and why the heck we were in a spaceship. There were a whole bunch of these sprinkled throughout, as well as a lot of overly long explanations about tv shows, other books and games (I think), so I think this book felt more like a tv guide or a YA for Dummies instead of an actual ya novel tbh. Also, and this isn’t too big a deal. But, I made it 32% of the way through this book had happened. Everyone was raving about the romance and to that I respond, WHERE??? I know, that I DNF’d this but the book is only 272 pages long. According to my math, I made it roughly 80ish pages through the book and all that happened was a few tv show explanations, some drama about an assignment, a spoiler thing and some teen angst. There are only 190 pages left, how are you going to a fit in a beautiful romance + the assignment drama + probably friendship drama + probably some teen angst, let’s be real + probably some family drama ??? I’m sorry, this book wasn’t for me. I wanted to love it which is why I requested it, but unfortunately, I was just not the right reader. I hope that you pick it up and love it more than I did! 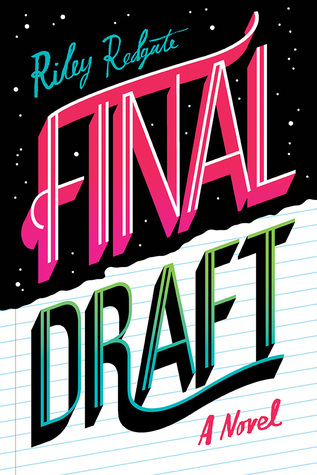 HAVE YOU READ FINAL DRAFT? SHOULD I HAVE SUCKED IT UP AND CONTINUED? DID I MAKE A BIG MISTAKE? 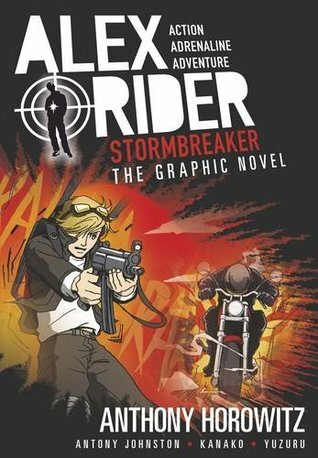 ALEX RIDER GRAPHIC NOVELS #1-5 REVIEW + DISCUSSION // Let out your inner kid with these graphic novels! Hey guys, today I am coming at you with a new review. Today I want to talk about one of my favourite middle-grade series, this one being a graphic novel series! I have read all of these in the original novel format and I was super excited to read them all again in graphic novel format too! 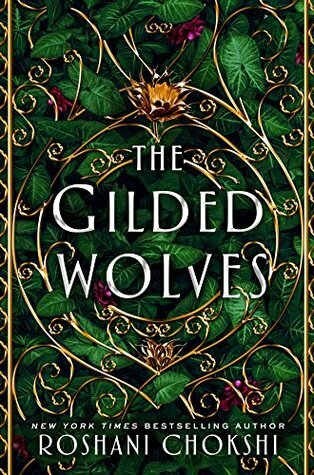 Click on the covers to go to the Goodreads pages. Thank you to Walker Books for supplying copies of these books in exchange for an honest review. I used to read this series when I was younger. The original series was one of my favourites, next to Harry Potter and Percy Jackson. 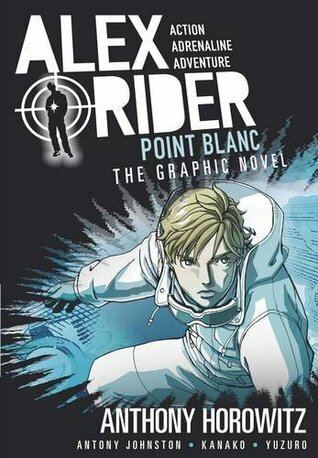 I was constantly re-reading the books so you can imagine how excited I was to find out about the graphic novel series. Each book in this series is amazing. I think it would be great for a younger reader, but it is still suitable for all ages, I mean, I’m an adult and I still loved them! 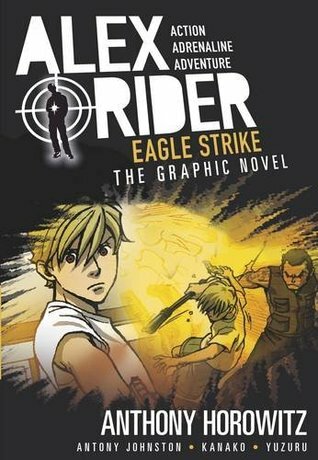 I think this series is perfect for younger readers who enjoy video games or spy stories. This is particularly great if you enjoy the action with less of the details, more like you would get in a movie. In the books, you get more of the details, whereas, the graphic novels are more of the main outline of the story. The artwork is also really amazing in this series, though the art and the colouring does change in book 5. The writing and art is really easy to understand so this is a perfect starting point to get kids into reading. 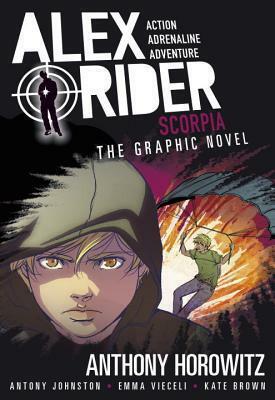 WHY MORE KIDS SHOULD READ GRAPHIC NOVELS! This series is amazing like I said before, it can be a really brilliant series for kids getting into reading. I loved these books when I was younger, in my last year in primary school, I pretty much spent most of my time in the library just reading the Skeleton Key (book 3) graphic novel. Unpopular opinion but, I think it’s more important for kids to read graphic novels before normal books. It makes sense, we start kids off reading picture books so reading graphic novels is a great next step. 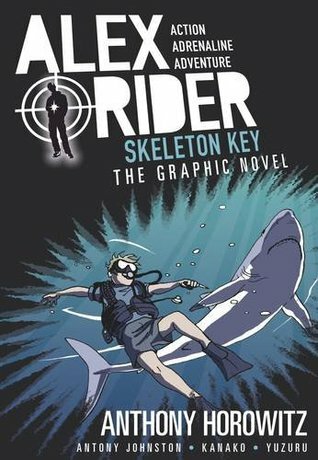 Graphic novels are also really fun, not only do they invite creativity in younger readers but, they help segway into normal novels. And besides, novels aren’t for everyone – a lot of people would much rather read a comic or graphic novel. DO YOU ENJOY READING MIDDLE-GRADE? I SAW ALADDIN THE MUSICAL AND I AM STILL SCREAMING // I review musicals now??? Hey guys, today I am reviewing a musical??? Because I’m a professional adult now??? I saw this on my birthday at the end of April and I loved it. I turned 18 this year so this was a really cool present, especially because I got to see the show with my mum. I loved this show. 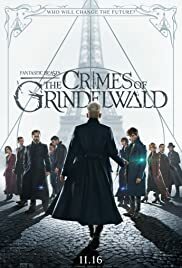 I found the first half really interesting, mostly because I hadn’t seen the movie in such a long time that I honestly didn’t remember any of the plot points. The first half sets up new story parts than the film – for example, Aladdin’s mother died 2 months before the story is set. I also really enjoyed the little changes in the story like how they changed Aladdin’s friend Abu into his three friends (Omar, Babkak & Kassim). And, I loved all of them and their songs were fantastic! Oh my god, who cares about the plot because the characters and sets are what make this show as good as it is. The guy who played the Genie was fantastic and I loved him, he was definitely my favourite character of them all! I also really enjoyed Aladdin, and funnily enough considering the story is named after him, I’ve never actually liked the character of Aladdin before. This version of the character had more depth to him and was more relatable. His song, Proud of Your Boy, in particular, is my favourite because it shows that he’s not this ridiculously cocky character like in the original film. I will admit that I wasn’t big on Jasmine but, maybe that’s just because she felt like a slightly fierce character. Maybe?? I don’t know, but honestly, I did still really enjoy her and we did also get to know her character more in the show too. If the characters in the new live-action Disney film are anything like the characters in this show then I will definitely not be mad. I love music from musicals, almost more than normal music??? And the soundtrack for this musical is absolutely fantastic! My favourite is of course, Proud of Your Boy but I have been known to play Prince Ali on repeat in the last week. The music is fantastic so you guys should definitely check it out (it’s on YouTube). I just loved this show. They really made an effort to make the show enjoyable for all of watching the show. I mean?? There were Tim Tam jokes? He had VEGEMITE?? He made a joke about Ipswich and I swear to god, the entire crowd collectively snorted. I am officially excited for the live action. It makes me think the live action will be something like the musical not even mad. If they include Proud of Your Boy I will cry, damn you, Disney. IS ALADDIN ONE OF YOUR FAVOURITE DISNEY FILMS?